No jewellery collection is complete without a signature pair of hoop earrings. 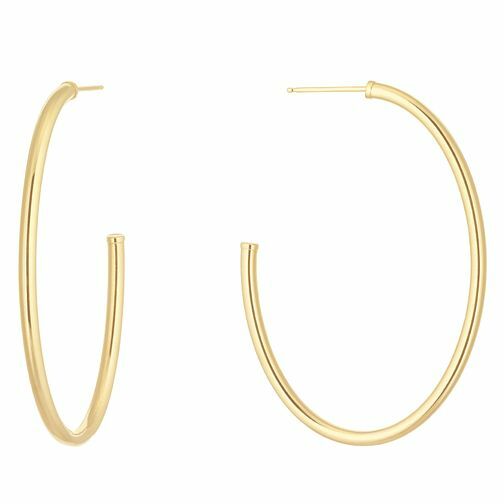 These skinny oval hoop earrings present a classic design in gorgeous 9ct yellow gold. The understated accessory to dress up everyday wear or as a chic finishing touch to your evening look. These earrings measure at 27mm.